Over the last half-century, the embedded systems market has developed at a phenomenal rate to become one of the most innovative fields in technology. The Internet of Things (IoT) helps make everything around us smarter: from cars to coffee machines; from industrial robots to smart meeting rooms and retail outlets. At Intel, we’ve been busy creating scalable and more secure platforms to help our customers take advantage of the tremendous growth opportunities and help them solve challenges as they look to drive efficiency through automation. Our subsidiary Wind River is one of the key players in the embedded market, providing software to help all major industries evolve aging legacy infrastructure, increase efficiency, boost safety, and enhance security and reliability. The automotive and manufacturing sectors are particular areas where IoT is accelerating transformation. What will this look like to you and me? Local transportation will become safer and more efficient as driverless vehicles navigate traffic more quickly while passengers work on other things. And workplaces will become safer and workers more productive as artificial intelligence, machine learning and other detail-oriented tools improve factory performance. Intel’s role in this future will be on display from March 14-16 at Embedded World 2017 in Nuremberg, Germany. Car manufacturers have long been integrating embedded devices into their vehicles to improve driver safety. Walk into any showroom and you’ll have the option to choose a new car with a comprehensive Advanced Driver Assistance System (ADAS). Car makers provide features such as collision detection, cruise control, automatic parking, drowsiness detection and more. The next logical step for the auto industry is to bring autonomous cars to market, an area where the biggest players in private transport, like BMW looking to lead. There’s no doubt that autonomous cars will be one of the biggest disruptive technologies of the 21st century. Driverless cars will increase traffic flow efficiency, boost passenger productivity and reduce pollution by dramatically slashing energy consumption. Most importantly, autonomous cars will completely transform the safety of our roads. There are approximately 1.2 million traffic-related fatalities around the world annually, according to the World Health Organization. Researchers indicate that autonomous cars could cut accident rates by up to 90 percent, potentially saving 10 million lives per decade. To fulfill this promise, autonomous cars will require hardware, software and network technologies — from the car to the cloud — to provide unprecedented levels of reliability, availability, security and functional safety. It’s the area of safety that is hugely important, being the crucial point of ISO 26262, the international standard that drives the automotive segment. Passengers will have to trust the artificial intelligence (AI) that is piloting a car with their lives. To minimize the risk of accidents, car makers will need to ensure that self-driving cars are able to communicate with each other, recognize their surroundings, adapt to changeable weather conditions, receive real-time mapping updates and fend off cyber-attacks. All of this will require vast volumes of processing power and generate an unprecedented volume of data (4,000 gigabytes per car each day). Managing this data deluge will require 5G connectivity and robust data center infrastructure. This will only be achieved with cross-industry collaboration among telecommunications providers, technology companies, car makers and suppliers. At Intel, we’ve always focused on forming partnerships and establishing robust industry standards to lead the way. To provide carmakers and Tier 1 automotive suppliers with comprehensive building blocks to bring the safest automated driving systems to market, we’ve launched the Intel® GO™ platform. This solution supports a variety of architecture from traditional central processing units (CPUs) through to field-programmable gate arrays (FPGAs) and hardware acceleration technology for deep learning. Importantly, Intel® GO™ Automated Driving Solution has built-in support for functional safety features, multilayered security and is the industry’s first 5G-ready development platform for automated driving. Much of the work we’re doing in the field of autonomous cars also can be applied to the industrial sector. AI, machine learning, image recognition, precise point positioning, connected sensors and machine-to-machine communication can all be used to improve the performance of factories. We’re already seeing a migration toward automated processes and robotic material transportation as well as predictive and adaptive maintenance – all of which is driven by advances in edge computing, big data and IoT. One of the biggest challenges facing manufacturers today is the need to integrate functional safety into their overall control and automation architecture. We recently unveiled the Intel® Xeon® processor D-1529. This processor not only provides functional safety for robotics, autonomous systems and industrial controls by meeting the IEC 61508 safety certification, it also provides high-performance computing power while ensuring robust availability and reliability. 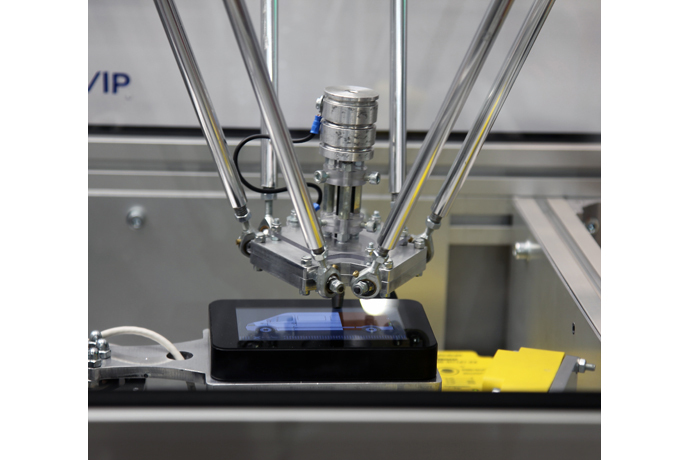 To demonstrate real applications of new industrial technology at Embedded World, Wind River will showcase a robotic arm with built-in functional safety, which enters safe mode when a system error is simulated. 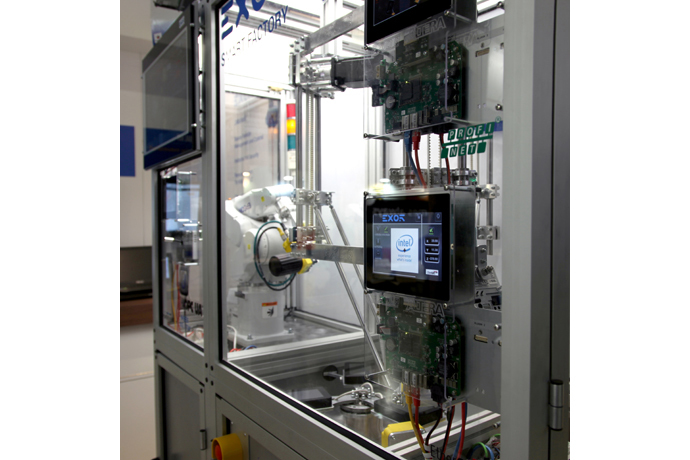 Powered by its VxWorks real-time operating system, the robotic arm runs on the Intel® Xeon® processor D-1529. There will also be an industrial automation demo on how control systems can be virtualized, resulting in the ability to maintain and upgrade existing plant equipment and add new technological features, while scaling with existing equipment utilizing the Wind River Helix Device Cloud SaaS platform and its new software virtualization platform designed to advance Industrial IoT. 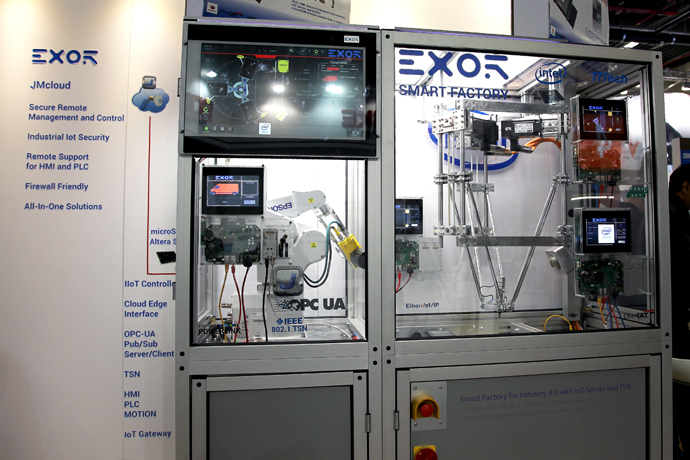 Intel will also illustrate how to boost your industrial environment with an Exor Smart Factory demonstration. This will simulate a smart factory running on Intel processors and FPGAs, and show how both can be used to create a highly automated IoT environment required by modern industrial corporations. The FPGAs assist the Intel processor in three areas: accelerating key algorithms for data analytics and machine learning; providing runtime reconfigurable hardware for Software Defined Automation; and offering the ability to add functions such as acceleration, off-load and security, even after FPGAs are in place in the factory. These examples in the automotive and industrial sectors are just a brief overview of how embedded systems are transforming entire industries, with visionary Intel technology connecting a vast ecosystem of companies. It’s these connections that will make the seemingly amazing into the status quo. Embedded World 2017 will take place March 14-16 in Nuremberg, Germany. 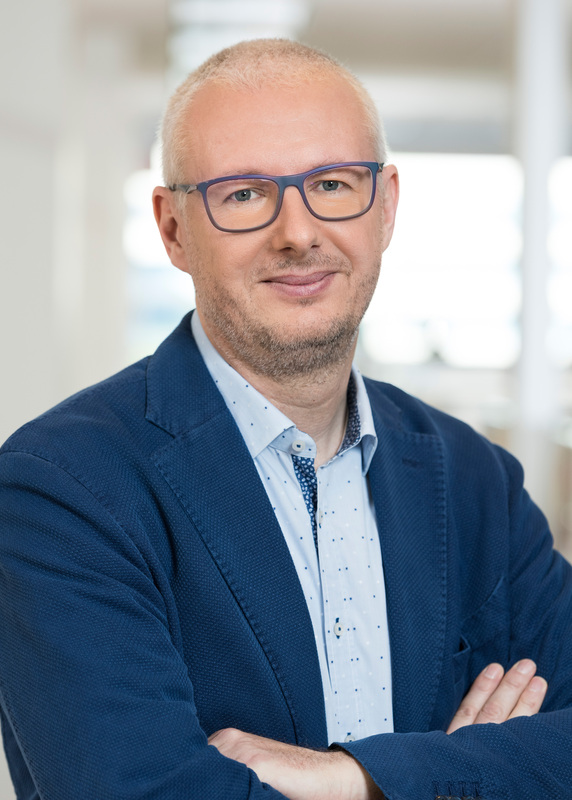 I will give a keynote speech at 9:30 a.m. CET on Wednesday, March 15, focusing on the importance of functional safety in the autonomous car market and the requirement of having robust end-to-end strategies. To learn more, visit Intel in Booth #338 in Hall 1 and Wind River in Booth #158 in Hall 4 at Embedded World. At the Intel booth, you’ll discover how Intel can help drive and empower creativity, imagination and innovation for the IoT through new hardware, software and tools for developers. 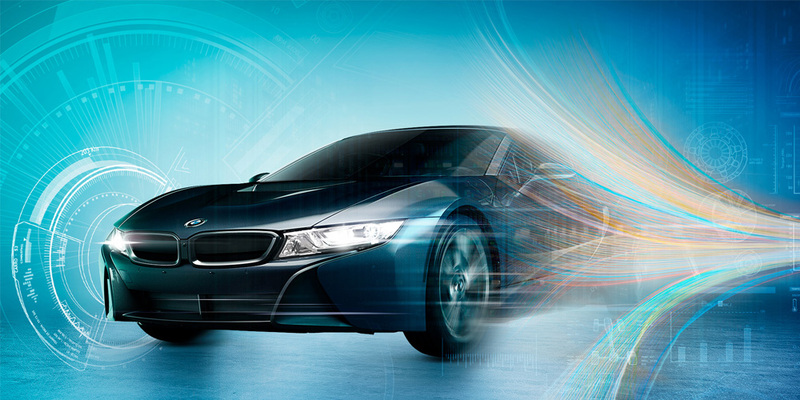 It also will feature a futuristic BMW i8 that will display how Intel will bring automated driving to life with a variety of augmented reality demos. At Wind River, be sure to check out the industrial automation demonstrations that I mentioned earlier. For additional information, go to intel.com/iot. Riccardo Mariani is an Intel Fellow and the chief functional safety technologist in the Internet of Things Group at Intel Corporation.